Praying for the people we love is one of the greatest gifts we can give them. And letting those people know we are praying for them is an important part of that gift. 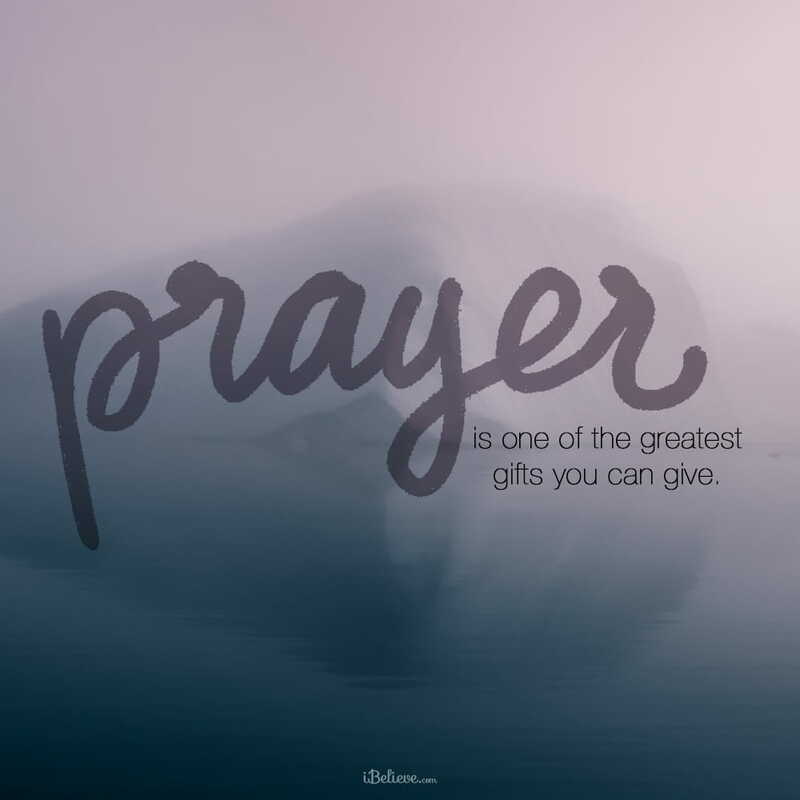 Are you giving the gift of prayer to the people in your life? Do they know you are praying for them? We try to make prayer complicated, but it really isn’t. Prayer is simply a conversation with God. Our helplessness is our most powerful prayer. God does not listen for the eloquence of our words. He listens for the voice of our need. Prayer isn't a religious exercise. It isn’t a holy vending machine and does not require us to jump through a certain number of hoops in order for God to hear and respond. Prayer is the declaration of our total and utter dependence on God. When we pray, we are telling God that we are desperate for Him. We are saying “yes” to whatever the minute, day or future holds … even before we know what that may be. We don’t have to drop to our knees or close our eyes to pray. Prayer is the continual conversation between our heart and the heart of God … in every part of our day. Prayer should be our first response … not our last resort, and it should be as natural as breathing. When someone asks you to pray for them – pray. Pray with them over the phone. Stop in the middle of the store or sidewalk and pray. Pray with your children on the way to school. Write a note of prayer to a hurting friend or just to bless a friend. Ask your waiter or waitress how you can pray for them. Make prayer a gift that you freely give. Father, I want to be a prayer warrior, a woman of God who lives in a constant state of prayer. Please help me see the needs in the lives of the people I love as well as those needs in the lives of people I meet every day. Teach me how to pray, Lord. In Jesus’ Name, Amen. Editor’s Note: Content taken from the Girlfriends in God devotional, The Gift of Prayer, written by Mary Southerland. You can read that piece in full here. All rights reserved.